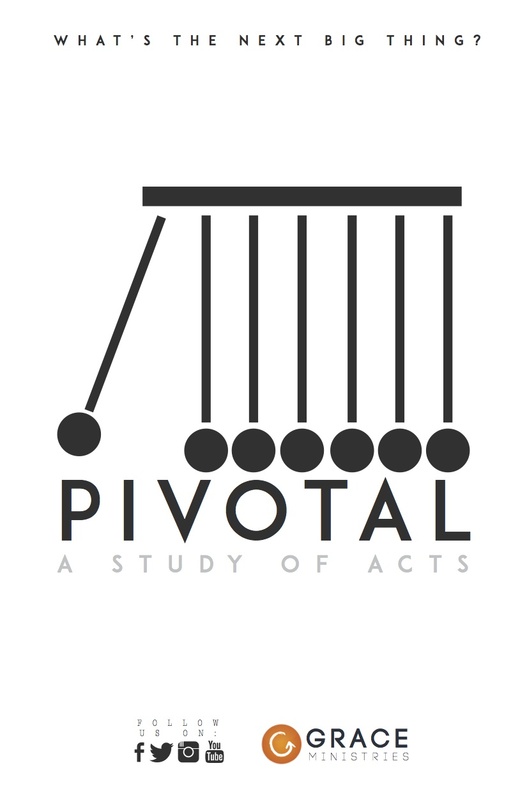 Note: the following is an example of the devotionals I’m writing for our Pivotal series (a study of Acts). For more, please go here. Therefore repent and return, so that your sins may be wiped away, in order that times of refreshing may come from the presence of the Lord; and that He may send Jesus, the Christ appointed for you… And it will be that every soul that does not heed that prophet shall be utterly destroyed from among the people.” (Acts 3:17, 19, 20, 23). In evangelical parlance, some words are becoming extinct. Sin, hell, judgment are just three of them. Consequently, sharing the good news no longer includes the bad news. I’m forced to ask myself: How can people be convinced to turn to God if they have not even been told that they have offended a holy God with their sins? Are we guilty of putting a spin on the message so it becomes more palatable to people who grew up hearing there was nothing wrong with them? Peter and John give us something to think about this topic in Acts 3. Peter had just healed a lame beggar who had been disabled from birth. The people were amazed (3:9, 11). They gathered to hear what Peter had to say. Peter looked down at the crowd and possibly spotted some of the same people who plotted against Jesus before Pilate. The moment of truth had arrived. What would Peter say? He could have opted to major on the positives only. The main message he was fixed to give was that it was Jesus’ power, not theirs, that had healed the man. So no need to lay the hammer down, right? If Peter lived today, his political advisers and speech writers might have pleaded with him to stay away from the events leading up to the crucifixion. Thankfully, Peter had all the advice he needed already. He may have remembered Jesus’ words to the disciples, in essence telling them not to be concerned about what to say when they had to he brought before authorities, “… for I will give you words and wisdom that none of your adversaries will be able to resist or contradict” (see Luke 21:12-15). So without hesitation Peter told the people that they had “put to death the giver of life.” He said they committed a deplorable act when they asked for a murderer to be released instead of Jesus. Facts, plain and simple. But he didn’t stop there. He went on to say that this was all part of God’s plan, for God had authenticated Jesus as the Messiah by bringing Him back from the dead. And this was not all. Since they acted in ignorance, God was giving all of them, including their hateful leaders, a chance to repent and accept Jesus as God’s Messiah. But if they didn’t, God would unleash the force of His judgment on them. Notice the forceful nature of Peter’s message but don’t forget that he delivered it with a heart full of compassion, with no hint of moral superiority or appearing arrogant before the crowd. His love, however, didn’t fog up his clarity. Quite the opposite, in fact. For Peter, when it came to salvation, he was not afraid to draw a clear line on the sand: It was either/or, not both/and; repentance or rejection; Christ or curse; one way or the hot way. Good news and bad news, all in one breath. And that’s the message so many don’t want to hear today. But the gospel is only good news if I accept it; if I don’t, it could not possibly get any worse than that, could it? No wonder all through the book of Acts believers asked for boldness. Is it not time we ask the same? If you refuse to mention sin and hell when You speak of Christ to your friends, who is the biggest loser? What is the key in delivering a good news/bad news message with love and clarity? What do you need to do to prepare yourself to deliver a more balanced story of the gospel to your friends?